The Bills are already thin at the running back spot, and now it’s even worse after C.J. Spiller suffered a shoulder injury that will keep him out for the rest of Sunday’s game against the Browns. 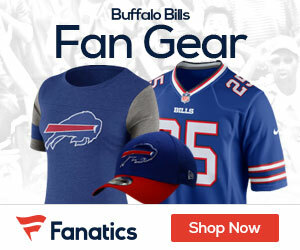 Spiller, the Bills’ most dangerous weapon on offense, was injured on a 25-yard reception from quarterback Ryan Fitzpatrick near the end of the first quarter. Spiller fell hard on his left shoulder and was carted off minutes later. Backup Tashard Choice took Spiller’s place. Before the injury, Spiller already had inflicted significant damage on Cleveland’s defense, hauling in a 32-yard scoring strike for Buffalo’s second touchdown and accounting for 16 yards on four carries.